We kicked off three awesome Starting Line crews this week. There are few things that I enjoy more than introducing athletes of all kinds to CrossFit. That makes the last two days pretty stellar in my book. We opened the doors to 20 new athletes this week who are digging into the fundamentals of CrossFit and having a good time while they are at it. I'm pretty confident that there are a good number of you walking around a little (or a lot) stiff today after all those squats, but you embraced the technique and were all looking pretty awesome by the end. 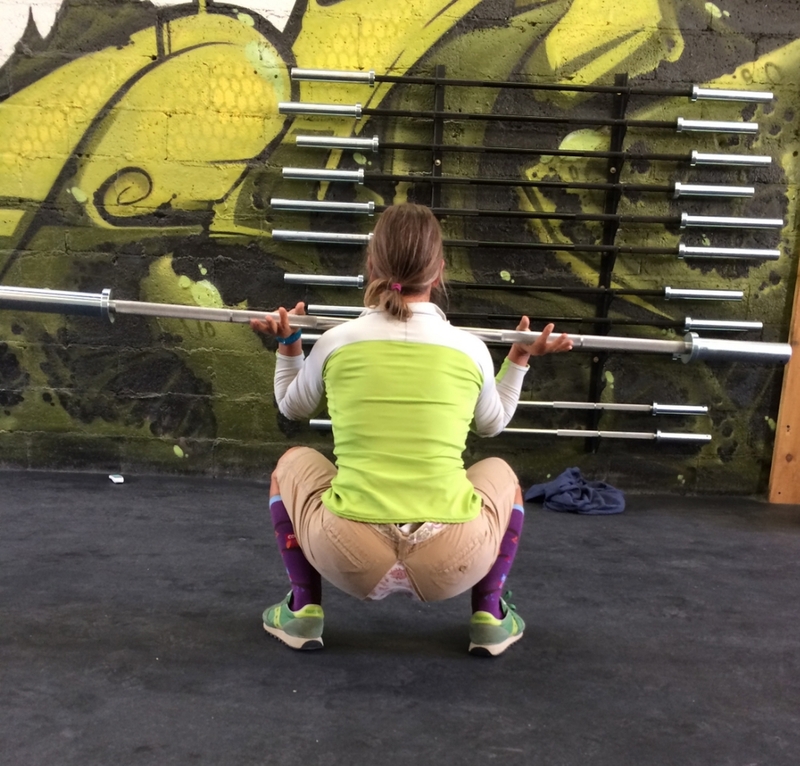 Tina stops at nothing to demonstrate a perfect front squat. Wish you were one of them? So do I...but these sessions are full. Don't sweat it though. We will be announcing the next round of Starting Line soon so hang tight!